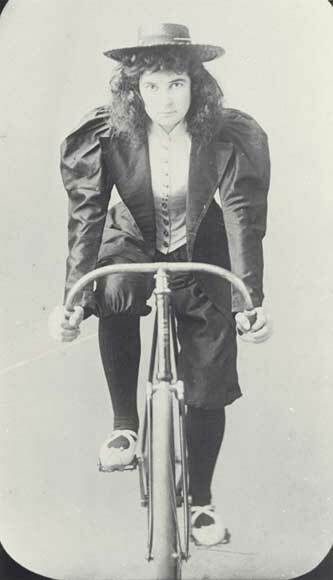 Some 19th-century women wore ‘bloomers’ or knickerbockers for cycling – like this woman in Christchurch in 1896. But this attire sometimes attracted abuse from onlookers, as members of the city’s Atalanta Cycle Club found. They decided to revert to skirts in 1893, but later relaxed the rule as people got more accustomed to seeing women in trousers on bikes.